Claudio Picech will be the new CEO of Siemens Italia, while maintaining the role of Country Division Lead of Energy Management. As CEO, from 1st October 2018 he will take Federico Golla’s place, who leaves the role at the end of his mandate while maintaining the position of President at Siemens S.p.A. until the approval of the financial statements. Picech obtained a degree in Engineering with a specialization in Electrotechnics at the University of Applied Sciences and the Arts Northwestern Switzerland and the Executive MBA at the IMD in Lausanne. Among his previous professional experiences, he worked at ABB and Alstom. 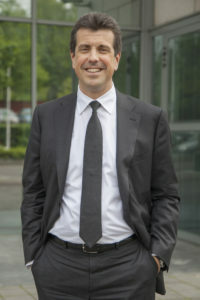 At the end of 2014 he joined Siemens Italia as Country Division Lead of Energy Management.